Take the MTR to Mongkok, head down Nathan Road and turn left into Shantung Street. A couple of buildings on the left is the Chung Kiu Tower. Go through the unmarked door, head up the stairs until you reach the lift lobby. Take the first or second lift on the left up to the 15th floor and when you step out, turn to your right, and you will find yourself in Hong Kong's latest centre of attraction for audiophiles. It's not on a par with Prelude, Shun Cheong or Hong Kong Records at Festival Walk, but that's not its purpose. What it offers is a very impressive service to the genuine audiophile. The stock is relatively small and organised according to conductor and artist rather than genre, composer or label, and it has some fantastic vinyl, much of it second-hand but in mint condition and factory-wrapped. 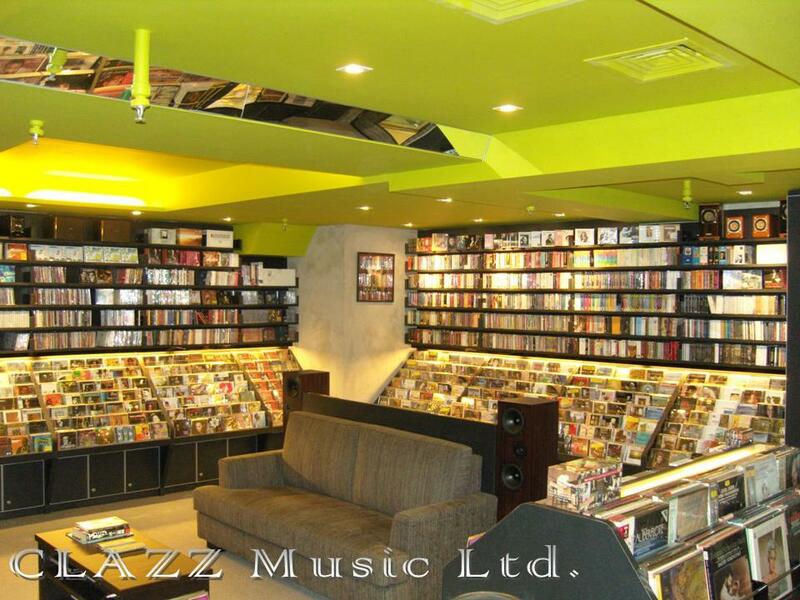 It has as large a jazz section as it does classical, but nothing else, so you are spared the strains of Canto-Pop, Western Pop or the latest noisy DVD blockbuster. It has lots of high-end playback equipment for sale and good listening facilities. 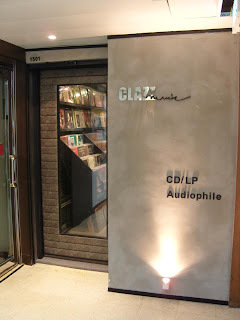 In short it is a place for the serious collector and specialist, and the staff seem to be as interested in talking about the music as in selling it. My visit on a Thursday afternoon was prolonged because of a heavy rainstorm outside, and the chap in charge then was a mine of information and a model of courtesy. I clearly interrupted him on his cigarette break, and the reek of tobacco was a bit of a turn-off, but in all other respects this was a thoroughly enjoyable experience. To be able to listen before buying and to be able to discuss interests with someone who was clearly an enthusiast himself, made this a very special place, and while its website - and the pictures here are from that (www.clazzmusic.com) - stresses that the business was set up by music enthusiasts, the level of knowledge has a nicely professional edge to it. It's not a place to go to buy specific recordings - you need to check out their stock before you go if you are after something definite - but as a chance to explore and to listen to well-recorded music on proper playback equipment (what a glorious change from all that fifth-rate computer/iPod/iPhone sound that so-called music-lovers in the rest of Asia seem to find acceptable) it's unmissable. Who said good recorded music was dead?